A great website is an initial thing that helps businesses to be successful online. Better to say, it make the business products appear alluring. Most of the customers opt for a custom designed website that is easy to use,manage & maintain despite diverse functionalities. 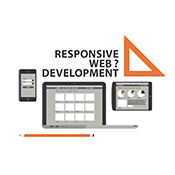 Unlike the superior website design company that works on designing the websites, we also work towards designing good layouts with additionally tweaking and optimization of the layout that facilitates the businesses to grow. We take an active technique to recognize your business, industry, goal, marketplace, and competitors to make sure that every layout factors work to achieve the advertising and marketing goals. IoT is M2M and it is emerging quickly. Today’s world is a digital system associated with sensors, connectivity, people, and processes. 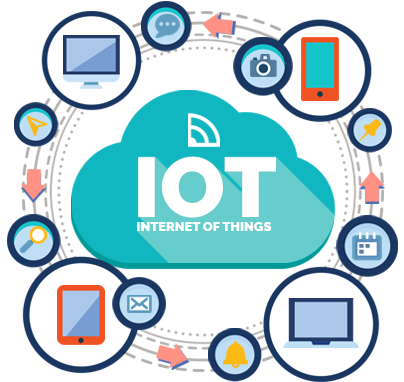 Businesses these days include IoT app development that provides more control and access from surrounding environments. The communications amongst these objects create new types of smart applications and services. Including Internet of Things (IoT) to the businesses bring and deliver the commercial enterprise structure together right from increasing process efficiencies to turning in greater customer experiences and generating new revenue flow. This can also make the business to change the lifestyle in new insightful approaches toward convenience and comfort. The Rising demand for of smartphones has replaced traditional computers or laptops. The future is indeed smartphones; this craze of mobile apps created sufficient opportunity to supply information and services to customers, companions, and personnel in new approaches. This trend mounts on traditional website owners to make their assets to be available on the go. Mobile apps fuse offline and online life, deliver an aspect to entrepreneurs to boom business agility, responsiveness, and income capability. Extending brand experience has emerged to be simpler with apps working on customized open source platforms. These mobile app solutions truly gain the businesses by reducing costs, time, and complexity and enables a rich user experience across various devices. With the usage of robust software, our progressed mobile application development services make use of native applications with ease.